Check out this list below for some fun things to ask Alexa. 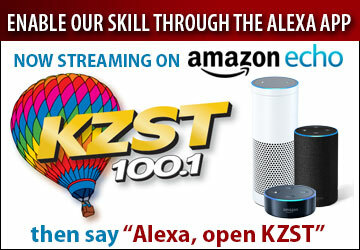 Click Here to learn how to enable Alexa to listen to KZST. Alexa, how much do you make? Alexa, who is Brent Farris? Who is the Mother of Dragons? Whats the difference between Under Pressure and ice Ice baby? I like big butts and I can not lie? Why is your name Alexa? How do i get rid of a dead body? What happens when you step on a Lego?